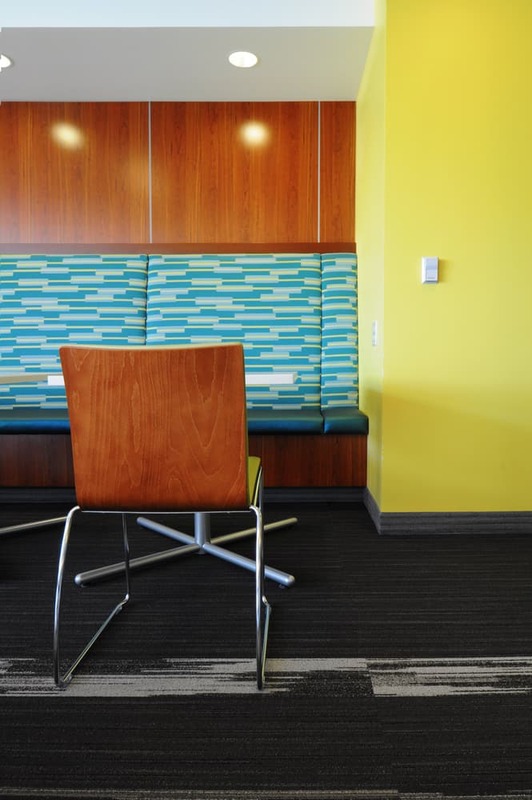 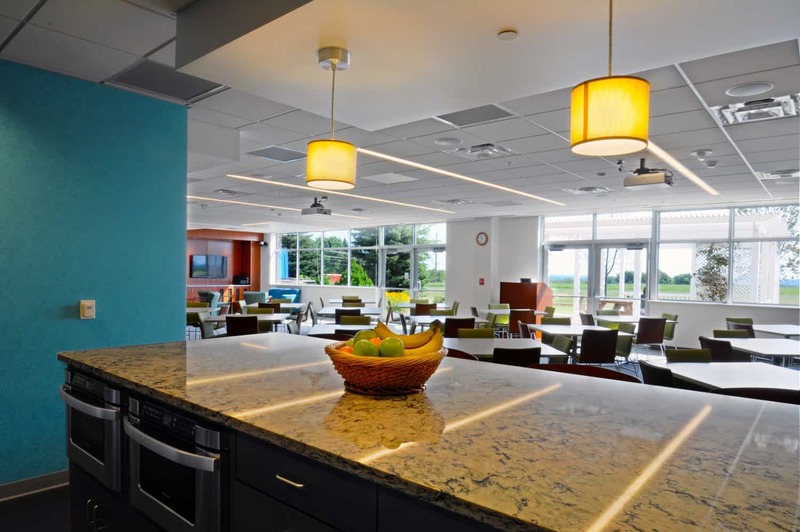 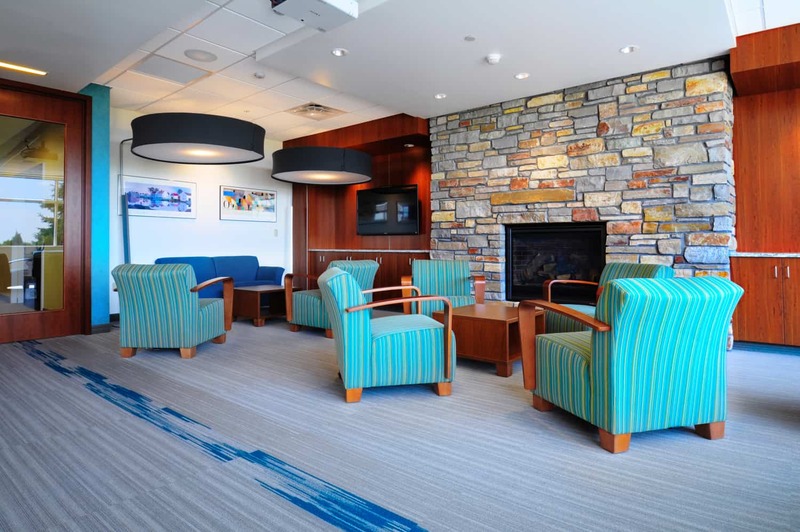 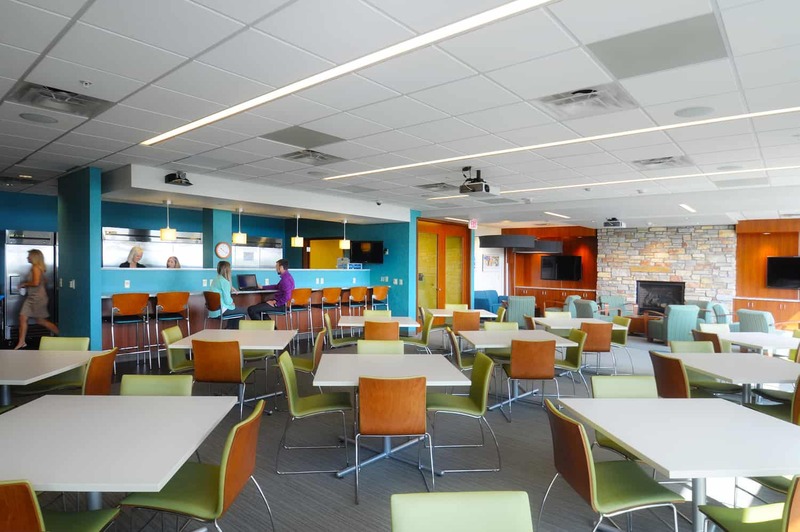 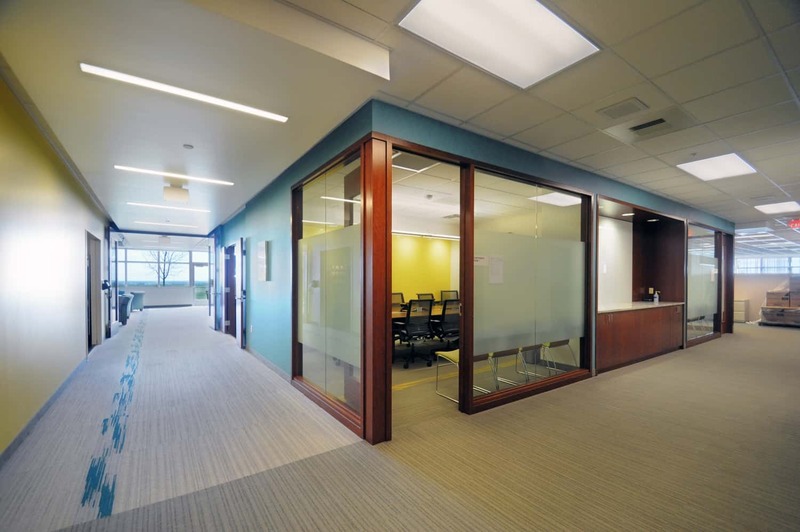 Hoping to facilitate a culture of collaboration and camaraderie, Security Health Plan renovated it’s corporate commons to create an energetic and lively space for employees to gather, mingle, and work. 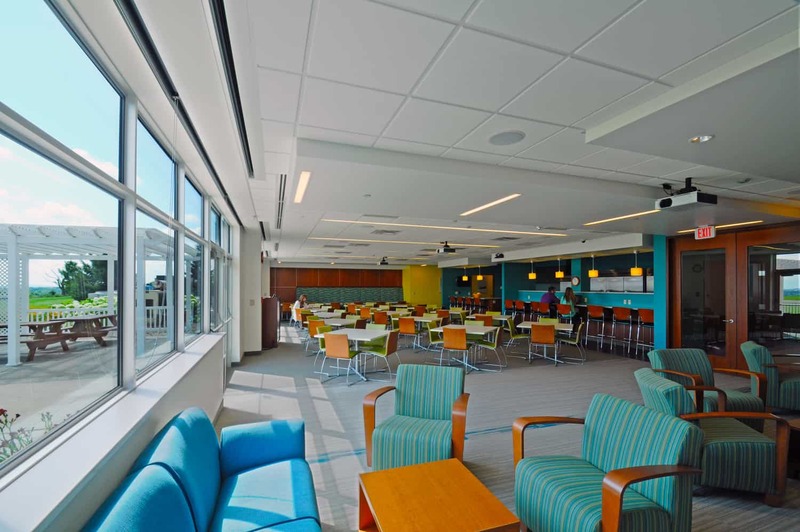 Recognizing both food and more casual seating as as an invitation for interaction and conversation, the design solution incorporates an upgraded cafeteria with breakfast bar; bright, cool colors; a variety of chairs, tables and couches; and integrated technology to create a destination point for staff to socialize and share ideas and stories. 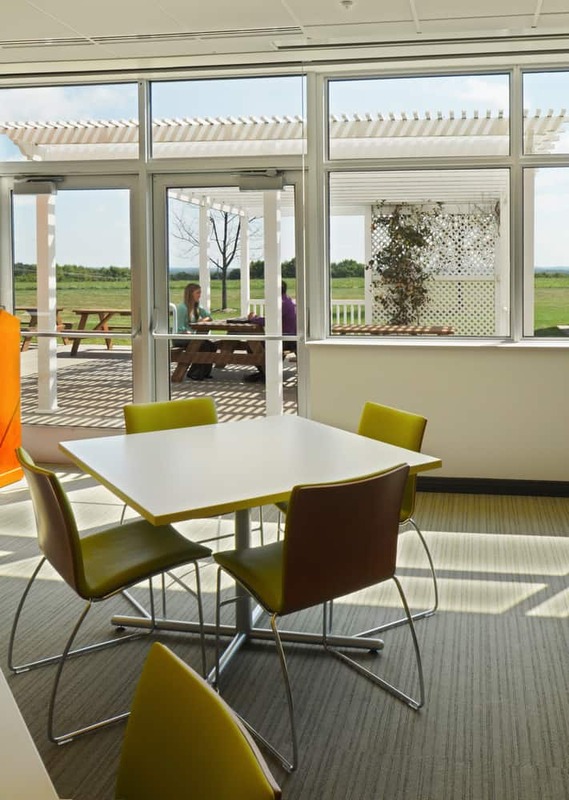 Additionally, meeting spaces, hallways and the cafeteria contain large windows to let in natural light to create a spacious and open environment. 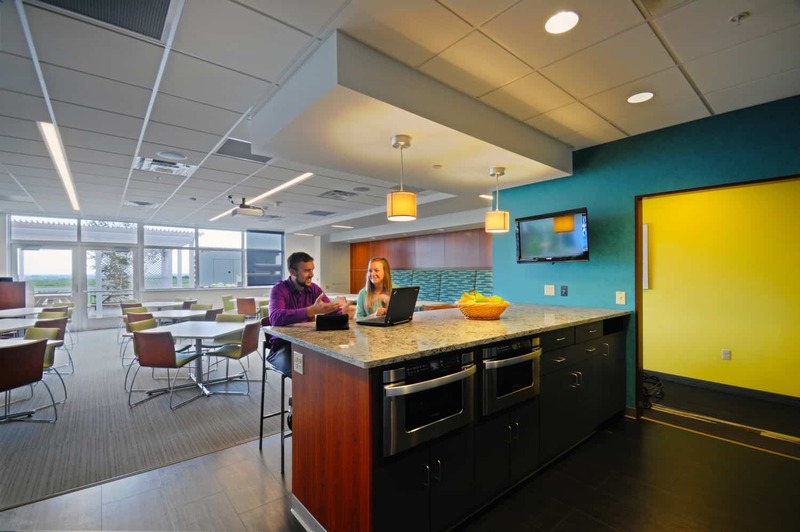 Initially the first phase of a multi-phase project for Security Health Plan, the design communicates the company’s vibrant culture and commitment to staff satisfaction through greater utilization of spaces.